It can be easy to take the advice “If it hurts, don’t do it” to the wrong extreme, especially when it comes to nursing tender joints. Many people think that the best tip for healing is rest followed by more rest, but as it turns out, keeping the body in motion and pacing your improvement with proper form are actually excellent knee pain treatments. Have your nagging knees settled you into the sofa? The following exercises for knee pain relief can help you ease into action. If you are experiencing constant knee pain and are not able to comfortably perform everyday activities, it may seem like a good idea to have the joint replaced. However, many health experts are now warning that surgery should be considered a last resort. Knee replacement operations are now incredibly commonplace. Over 600,000 of them were completed in 2012, a rise from about 250,000 in 1999. Unfortunately, the results suggest that many of those patients would have been better advised to avoid surgery. Arthritis is a disease in which bone and/or cartilage in the affected individual’s body is lost. This process of degeneration in turn reshapes the joint (causing, for instance, severely bent fingers in extreme, long-developing cases). A proper program of pain management and physical therapy – what we offer – is not only affective at alleviating symptoms of pain but also protects against progression of the disease. The healthy functioning of joints is disrupted in the case of osteoarthritis (1) Typically a joint experiences a fluid injury and repair process at the cellular level if it becomes damaged or re-damaged. This injury/repair cycle is completed by cells called chondroclasts and chondroblasts. 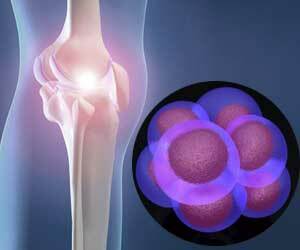 Osteoarthritis, however, does not allow these cells to perform their roles effectively. Instead, another type of cell, the osteoblast, enters the picture, creating additional cartilage and bone in improper locations – such as spurs (2). This nonstandard cellular development leads to swollen, painful body parts. 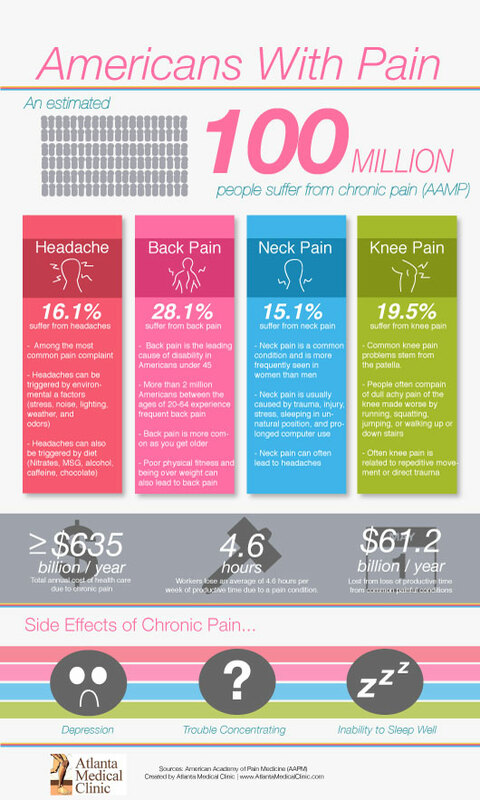 Alleviating pain in joints, such as hand or knee pain relief, is then often medically sought. Osteoarthritis prevents the cells that make up a person’s cartilage from releasing a sufficient quantity of protein when repair of joint cartilage is required. The demand for repair at a cellular level, then, is not met. Cartilage, which is typically taut, begins to loosen. As the arthritic condition becomes more ingrained, fraying of the cartilage occurs, as does cracking and pitting. The more degradation that occurs throughout the cartilage cells, the less flexible its fibers will be (3). It becomes less and less able to protect itself, creating a downward spiral. The joint in general is put at risk by cellular cartilage weakness, increasing the likelihood of deterioration. Osteoarthritis can quickly become painful, but treating it means that its progress can be slowed or stopped altogether. The reason that’s important is that, left untreated, the pitting and cracking can become more pronounced, eventually resulting in total removal of the cartilage. When no cartilage remains, a person begins to experience bone-on-bone direct contact during activity. The affected areas of bone become reshaped, then, as activity grinds down the cells, following the reshaping of the cartilage that has occurred. When the bones no longer join up properly, range of motion can decrease significantly. Again, when osteoarthritis is treated, the deterioration can be mitigated. What we offer at the Atlanta Medical Clinic is extraordinary considered to many solutions for hand or knee pain relief or wherever cellular damage has become the most severe: a complete spectrum of pain management solutions, not just injections and medications but also chiropractic treatment and physical therapy as necessary. Contact us today to learn more about how an integrative solution can deter your osteoarthritis and aid you in returning to a healthy, fully functional lifestyle. When your knee or any joint in your body is suffering from osteoarthritis, it’s important to remember that preventative techniques still apply. In other words, by treating your injury/symptoms wisely and conscientiously, you can keep it from growing in severity and requiring more extreme forms of interaction. In the case of knee pain treatment, combining two modalities – knee injections and physical therapy – can often be effective at preventing the need for total knee replacement surgery. At the Atlanta Medical Clinic, we prefer not to inject our patients with drugs. We believe that a more natural approach provides more effective long-range results; real treatment and recuperation as opposed to just a reduction in pain. We also believe naturally sourced injections are safer for the body, especially when undergoing a physical therapy strategy that carefully and sustainably stabilizes the body to its fullest possible functionality. Our knee pain treatment protocol utilizes a substances called Hyalgan, which is injected directly into the knee joint. Hyalgan is so safe that it can be regularly administered for as long as 2 1/2 years. Its effectiveness is clinically proven to reduce knee pain for up to six months. Medical drugs take their cues from body chemistry. The chemical components of a prescribed medication are effective to the extent that they reflect basic biophysical principles; Otherwise they will be rejected by the body. Knee pain treatment by Hyalgan injection uses the same basic approach as a medication but takes it a step further. Hyalgan is not just accepted by the body. It is made up primarily of a chemical that is already part of the body. Hyalgan’s core ingredient, hyaluronan, lubricates and cushions the knee joint. Found in high volumes in the tissues of the joints and in their synovial fluid, hyaluronan works amazingly well for knee injections because what you are doing is adding greater quantities of the natural chemical your body already uses to protect the knee. At the Atlanta Medical Clinic , we customize strategies to help each of our patients maintain a healthy lifestyle, stabilize injuries and illnesses, and trend steadily toward a positive physical future. These treatment protocols all attempt to prevent and reduce the need for invasive surgical procedures. Combining naturally-based injections, physical therapy, and chiropractic philosophies, we craft an ideal multidisciplinary plan to achieve and sustain wellness, one patient at a time.